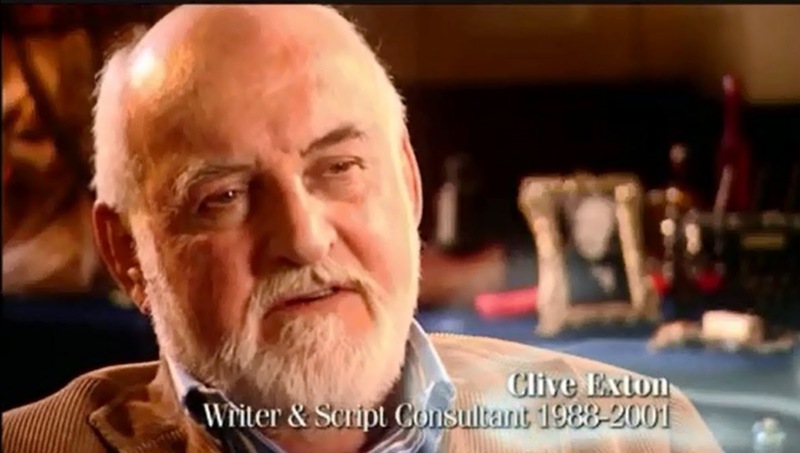 Clive Exton (1930-2007) was the principal screenwriter for most of the original Poirot series. He also oversaw a number of scripts as a script consultant. For an overview of his career, see this obituary in The Telegraph. Other notable works, much in the same vein as Poirot, include Jeeves and Wooster (1990-1993), the P. G. Wodehouse stories, with Stephen Fry and Hugh Laurie), and Rosemary and Thyme (2003-2006), a television series about two female gardening detectives. Exton wrote all 23 episodes of Jeeves and Wooster at the same time as he was doing Poirot. They are similar, in some ways. Poirot is set in the 1930s, Jeeves and Wooster in the 1920s. Both sets of adaptations have a lot of humour in them, and they both centre on dynamic duos. You could even argue that Rosemary & Thyme follows the same pattern. In any case, that is certainly a very Christie-esque series. However, I should point out that Exton's work as a screenwriter was much broader than just gentle Sunday night television; the obituary in The Guardian focuses on 'his highly individual mixture of black comedy and oblique social criticism'. Writing about Poirot and Jeeves and Wooster, The Telegraph states in the obituary that 'both adaptations reflected his love of precision in language and his understanding of how people express themselves, as well as his ability to spin out and knit together plot lines from often scanty material'.That is certainly true of his Poirot adaptations, on more than one occasion. It is a truth universally acknowledged (to borrow a famous first sentence) that David Suchet spent years perfecting his performance as Hercule Poirot. 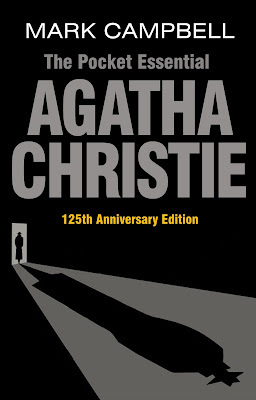 He read all the stories and compiled a character dossier, a copy of which was included in his memoir Poirot and Me (2013). He has repeatedly stated that he aimed to stay true to the character as Christie wrote him. For me, Suchet fully managed to inhabit that character, and I find it impossible to pick up a Poirot story and not envisage his Poirot and hear his voice. 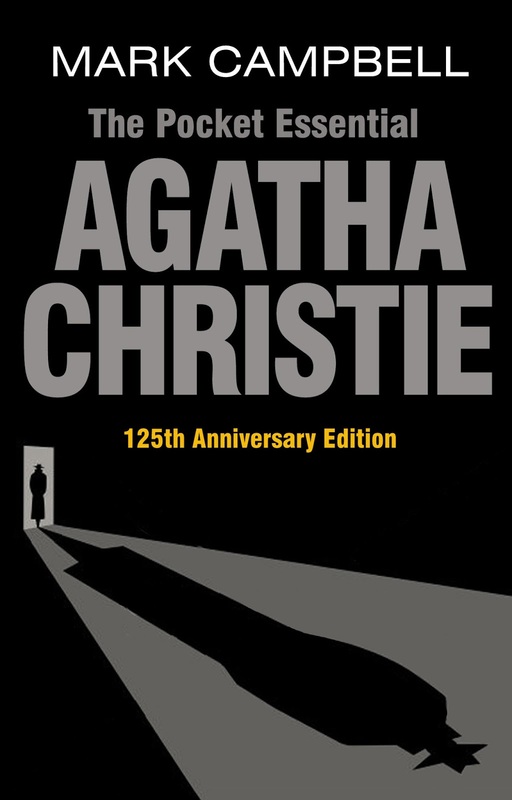 Under the headline "The Complete Poirot", I will examine, in the coming weeks and months, the development of our all-time favourite main character in Christie's stories, and discuss passages or characteristics that are (a) included in Suchet's dossier, or (b) present in the television adaptations themselves. The books will be discussed in chronological order (based on this Wikipedia list), rather than in publication order (although they largely overlap). Let's begin with Poirot's very first case, The Mysterious Affair at Styles, published in 1920. Page references are from the HarperCollins collection The Complete Battles of Hastings, Volume I, published in 2003. 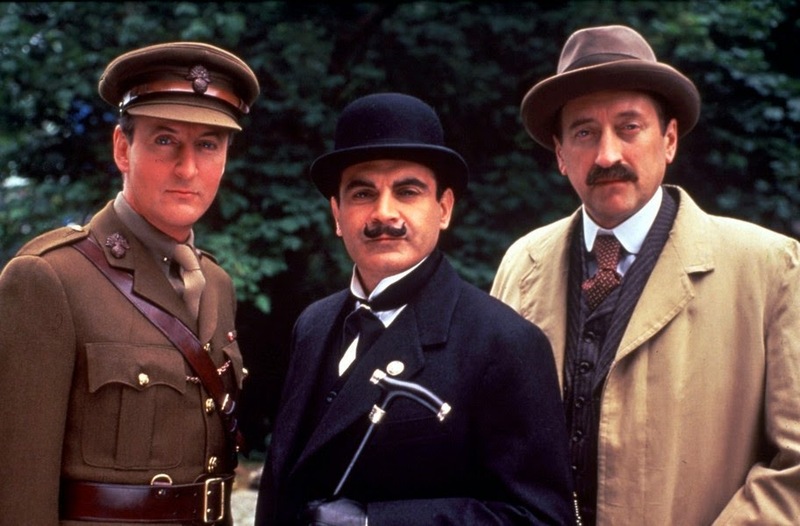 In the coming weeks and months I will examine and discuss some of the key members of the Poirot production team, with particular focus on their work on Poirot, of course. My initial plan was to look at these crew members in chronological order, so to speak, but when I read about the sad passing of Kevin Elyot yesterday, it felt natural to start with him. 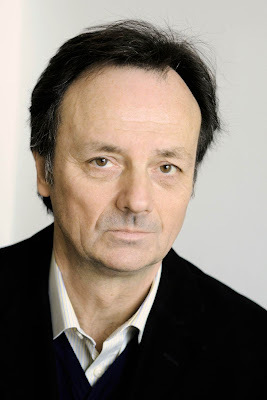 Kevin Elyot (1951-2014) was a British playwright and screenwriter. I won't attempt to discuss his career in detail. For that, I refer to this well-written obituary. 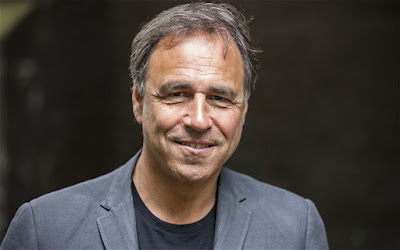 The Guardian's Michael Coveney summed up his subject (as a writer) as 'the longing for love and remembrance of loves lost'. This is certainly true of some of his non-Poirot work that I've read or seen, like My Night with Reg, Clapham Junction and Christopher and His Kind. But it's also true of his Poirot (and Marple) adaptations. 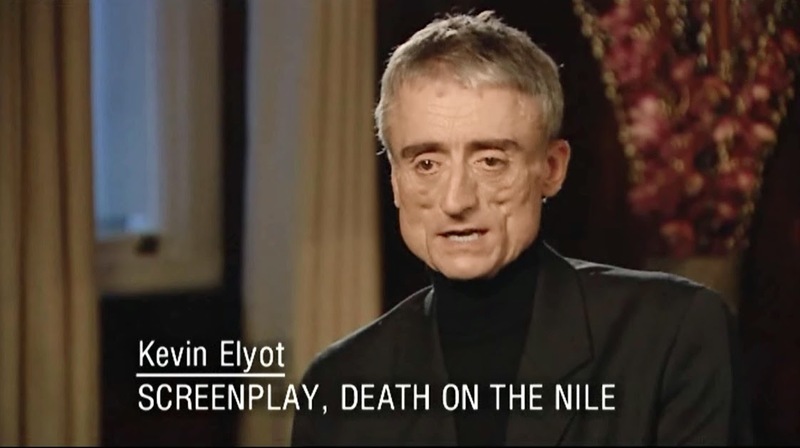 Personally, I cherish Elyot's adaptations, all three of them. Five Little Pigs, as a whole, is still my favourite Poirot episode. It's a difficult novel to adapt successfully, with internal monologues and observations, and I think the balance was just about right between flashbacks to the past and the present day. Curtain was faithfully and accurately adapted, with the right amount of sensitivity to its themes. An apt farewell with a beloved character. Death on the Nile was possibly less successful, particularly with some of the changes to the minor characters, but nonetheless among the better episodes of the entire series. The scene, singled out by David Suchet in several interviews, between Jacqueline and Poirot, with dialogue borrowed from Dead Man's Folly, is a magnificent glimpse of that character trait that would blossom both in later novels and in later adaptations; Poirot's longing for love and remembrance of loves lost (think Vera Rossakoff, Verginie Mesnard and 'the mystery of love'). As such, I think Elyot brilliantly managed to move the character of Poirot on, to deepen, in collaboration with Suchet of course, the interpretation and add layers and dimensions. Regardless of what some fans might think of his more radical changes (mercifully fewer between on Poirot than on Marple), he deserves praise for that accomplishment. 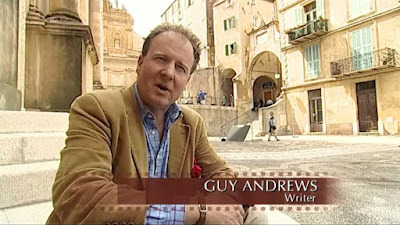 To me, he remains one of the best Poirot screenwriters.